This is the third post in our five-part series Five Ways to Make Your Supply Chain More Dynamic. Running an efficient and adaptable supply chain can make all the difference in profitability and growth. We’ve previously looked at how finding actual costs is key to cutting out inefficiencies and how big data can have a big impact on your business. Today, we’ll discuss true collaboration in the supply chain. For more than a decade now, collaboration has been the name of the game in supply chain management. Companies have focused on building the systems to collect and share vital supply chain information across their organizations and with their vendors and suppliers. Today, successful companies need to evolve from simply sharing data to sharing ideas, creating a platform for communicating with every link in the supply chain. Businesses and their supply chain partners need the means to examine the information they have; brainstorm ideas; identify trends, issues and opportunities; and share insight from every perspective. How? Well, first your have to make sure everyone’s getting the best, real-time look into what’s happening and that you have the right tools to predict what might happen tomorrow. 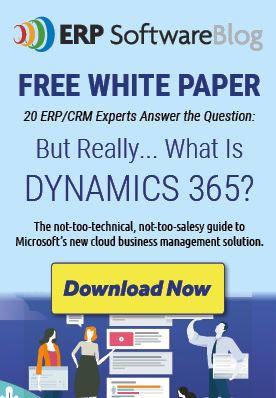 Microsoft Dynamics ERP provides real-time access to all the data and metrics across your supply chain, plus with powerful built-in predictive analysis tools, you can identify trends, predict opportunities and make accurate cost and revenue projections. And by connecting your supply chain, financial management, sales and marketing functions with Microsoft Dynamics ERP and Microsoft Dynamics CRM, you get you get an end-to-end picture of your entire business. Once you’re armed with all the data, you need the technology to connect and share ideas with and across your supply chain. Microsoft Dynamics ERP interoperates with Microsoft Office, Microsoft SharePoint, and Microsoft Lync collaboration tools, so you can easily, instantly and securely share information inside and outside your walls. You can also collaboratively analyze data, share ideas, and improve how each part of your supply chain fits efficiently into place. With the right data and a platform for collaboration, you’ll change each link of your supply chain into an active business partner that can contribute to the success of your company. 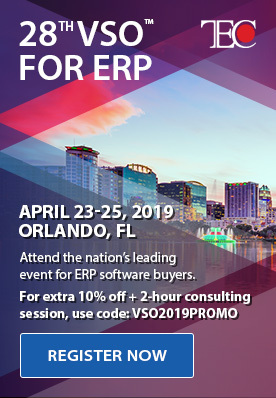 Next time, we’ll explore how Microsoft Dynamics ERP can help track and control the true costs that define your profitability. Download our FREE infographic on the 5 ways InterDyn BMI helps companies Supply Chain more Dynamic. Consolidating Financial, Payroll, and Human Resource Systems into ONE…Yes, It’s Possible!